The Town Building Inspector is Brian Flannery. He is available to issue permits for all types of building projects or do home inspections by appointment only.  Following is the current Town of Exeter Building Permit Fee schedule. The Town Clerk's Office issues licenses. You may stop by the office or you may mail in the dog license form found at the FORMS tab along with payment, copy of rabies vaccination and a self -addressed, stamped envelope and the Clerk will issue the license and return it to you. PROPERTY TAX PAYMENTS ARE NOT ACCEPTED AT THE OFFICE. Proof of current Rabies vaccination must be provided. For more information please contact the Town Clerk's Office at 424-1697. New Glarus True Value located at 1420 State Hwy 69: CFL bulbs are no charge, tube fluorescents are a $1 per tube. You may contact them at 527-8717 for more information. Home Depot, an ENERGY STAR retail partner, will also accept used compact fluorescent light bulbs (CFLs) in all 1,973 of its stores in the United States. Click here for information on how to handle a broken compact fluorescent bulb. Contact the Green County Health Department for information on disposing medications and upcoming County medicine collection days at (608) 328-9390. The University of Wisconsin-Extension Solid & Hazardous Waste Education Center publishes an online schedule of upcoming medicine collection days planned for various locations throughout the state. To view the 2009 medication schedule go to: http://www4.uwm.edu/shwec and select "2009 Medicine Collection Days" on the lower left section of the page. For more information on the proper disposal of medicines, go to the WisconsinDepartment of Natural Resources Internet site, http://dnr.wi.gov/org/aw/wm/pharm/household.htm. Drop off old cell phones, rechargeable batteries, and ink-jet cartridges at the free recycling kiosks located just inside the door of every U.S. Best Buy store.  These can be dropped off at the Green County Landfill or Town of Exeter Recycling Center. See below for information to the landfill. The Green County Landfill is open the first Saturday morning of each month from May - October from 8:00 a.m. - 11:30 a.m. in addition to their regular hours of 7:00 a.m. - 3:00 p.m., Monday - Friday. The landfill is located at W2002 CTH SS, Brodhead, WI. For more information, contact the Green County Landfill at (608) 897-8605. The Town has available for rental the Town Hall (Meeting Room). The Hall is available for meetings, reunions, birthdays, etc., for a fee of $50 (resident) or $100 (non-resident) per day . A $50 refundable security deposit is required also. The Park shelter can also be spoken for by contacting the Town Clerk. At this time there is not a fee and we do not guarantee an exclusive reservation. Please contact the Town Clerk's Office at 424-1697 for more information. Click Here for a Town Hall (Meeting Room) Reservation Form.